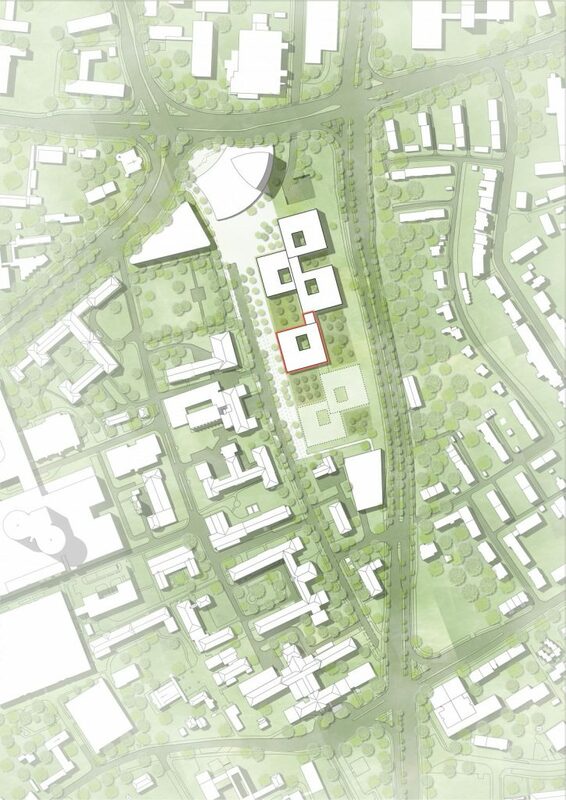 A future-oriented, contemporary research ensemble that integrates the historic building inventory, which includes architectural monuments, is being developed on Campus East at Münster University Hospital. Building on the master plan developed by Nickl & Partner, the Body & Brain Institute (BBIM) is now under construction on the campus. With a close functional and physical connection to the MedForCe research building, future researchers at BBIM will have four levels of laboratory clusters, offices, conference rooms and three cutting-edge science platforms with special laboratories at their disposal. The design is distinguished by its clear structuring and integration into the urban development context. A thoroughfare runs through the building and connects directly to the open stairway that links building levels to create a communication-enhancing core. Drawing on the existing buildings, the façade design envisages a rear-ventilated clinker façade for the plinth floor, while the upper levels are wrapped with storey-high glazing that is structured by lightweight aluminium construction.